Latvia is best known for the capital city of Riga, but this cosmopolitan metropolis is merely the frontline for one of the last unspoiled travel experiences in Europe. In fact, more than fifty percent of Latvia consists of luscious forest, glistening lakes, and flowing rivers. Situated amidst the Baltic States; this enchanting country is home to less than two million people and a culture which seems rather unassuming at first. However, the sheer greenery, friendly locals and a great number of attractions ensure this one of the most popular destinations for Baltic tours. Although initially constructed for German merchants, the House of Blackheads is one of many iconic landmarks in Riga, the capital of Latvia. From St. Peter’s Church and the Freedom monument to the Museum of Occupation, these ancient structures are found at every turn and offer another side to what is now a very cosmopolitan city. 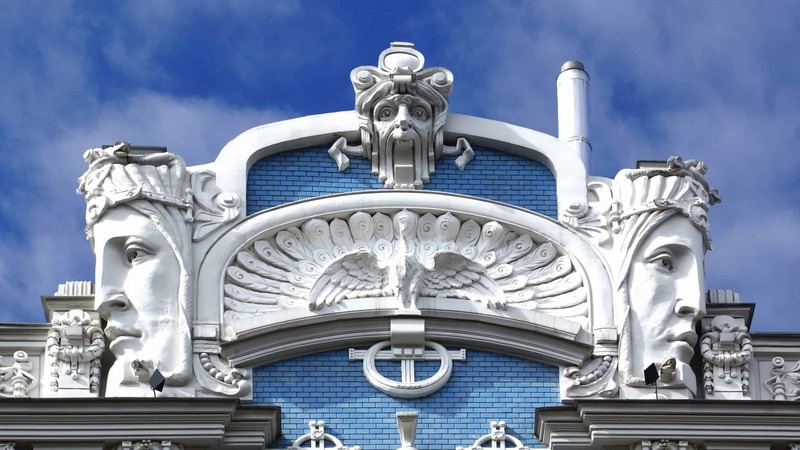 Furthermore, the Art Nouveau architecture throughout this charming city is unlike any other in Europe and symbolic of the unique nature of Latvia as a whole. For this reason, the city of Riga is one of the most interesting places to explore on a Baltic tour and a fascinating glimpse into the rich history beyond these medieval facades. However, there is much more to Baltic tours in Latvia than Riga itself, and you will find more wilderness and natural attractions here than almost anywhere else in the Baltic States. For example, Gauja National Park is the oldest national park in Latvia which consists of more than ninety thousand hectares of wilderness and some of the most awe-inspiring scenery in the country. Located next to Gauja National Park, the small town of Sigulda offers an intriguing insight into the very traditional side of Latvia. Far from the cosmopolitan atmosphere in Riga, this tiny town is a very authentic encounter with local customs and traditions in the region. With that said, nature has a way of eclipsing civilization in this part of the world, and the surrounding scenery is often the main highlight for visitors. As already mentioned, Gauja National Park is overflowing with spectacular scenery, but this is also evidenced on Baltic tours throughout most of Latvia. In fact, there are forty-two nature parks and more than two hundred nature reserves in Latvia. Featuring endless national monuments, these parks are also dissected by twelve thousand rivers and several thousand lakes. Simply put, for such a small nation, Latvia has an incredible wealth of nature and not least of which can be found along a stunning three hundred mile stretch of coastline. As with neighboring countries, the cuisine is rarely the main attraction in Latvia, but food and restaurants are often the subjects of five-star reviews online. In some sense, lack of expectation can attribute to such excellent feedback, but at the same time, the variety and wholesome nature of this local food is nothing short of impressive. All considered, there is every reason to feel excited about food in Latvia, such is the freshness and varied nature of ingredients the local use to produce these dishes. When it comes to places to see and things to do, Riga and Latvia offer an exciting range of attractions. From the ancient cobblestone streets of Riga to the wilderness areas in Gauja; these attractions are within easy reach but most importantly, they offer a unique insight into what is still quite a primitive travel destination. House of Blackheads – Ancient building, located in the heart of Riga which was initially built for German merchants who were unmarried back in the 14th century. Guaja National Park – This incredibly large National Park is home to forests, lakes, waterfalls, rivers and some of the most luscious countryside in the country. 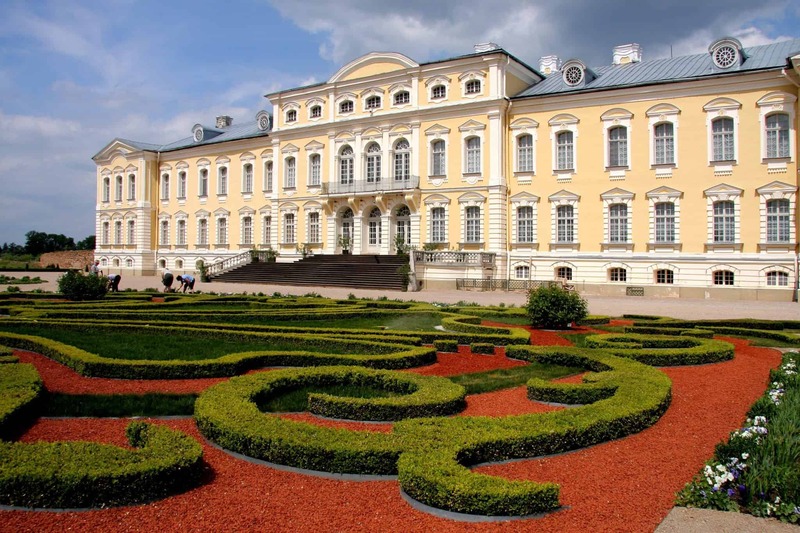 Rundāle Palace – Located in the heart of Riga, Rundale Palace is an inspiring baroque palace and one of the most iconic landmarks in the capital. Dome Cathedral – This charming structure is often the subject of travel magazines which cover the city of Riga as a travel destination. In short, this is possibly the most iconic landmark in Latvia. 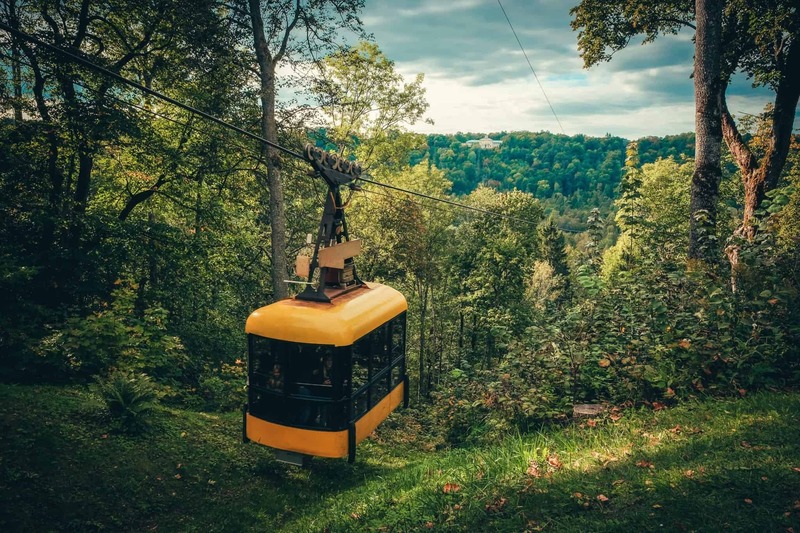 Sigulda – Situated in the midst of countryside and far from the bustling city, Sigulda is an encounter with small town Latvia and the perfect place from which to explore nearby Gauja. Funky Backpackers – Although relatively basic regarding decoration, Funky Backpackers offers a friendly atmosphere and simple accommodation in the center of Riga. Islande Hotel – While the Islande Hotel is certainly not the most traditional accommodation in Riga, this modern hotel is well maintained, extremely clean and quite affordable considering the reasonably high standard. Grand Palace Hotel – Luxury and comfort of the highest standard feature prominently throughout this stunning hotel which was formerly the home of an iconic Latvian bank. As you might expect, taking a stroll beneath the facades in Riga is an excellent way to feel acquainted with the city. At the same time, Baltic tours are the best way to gain insight into the many attractions and understand their relevance within the local culture. Similarly, bus tours are extremely popular given the unreliable nature of public transport and the absence of direct trains between Baltic countries. Baltic tours offer an insight into quite a primitive side of Europe where the ancient city of Riga is a gateway to an endless plethora of natural attraction. You can expect wholesome food, fascinating culture, comfortable accommodation and an encounter with some of the most spectacular scenery anywhere in the world. Simply put, the vast greenery and variety of authentic experiences ensure Latvia is one of the most enticing and alluring destinations for enjoying a bus tour in the Baltic States.